Many of us know the feeling of reading a whole passage of scripture and not remembering one detail of what we have read. Sometimes passages, especially those written in narrative form, can be best understood if you take time to use a three step summary technique to help slow down and grasp all the details. 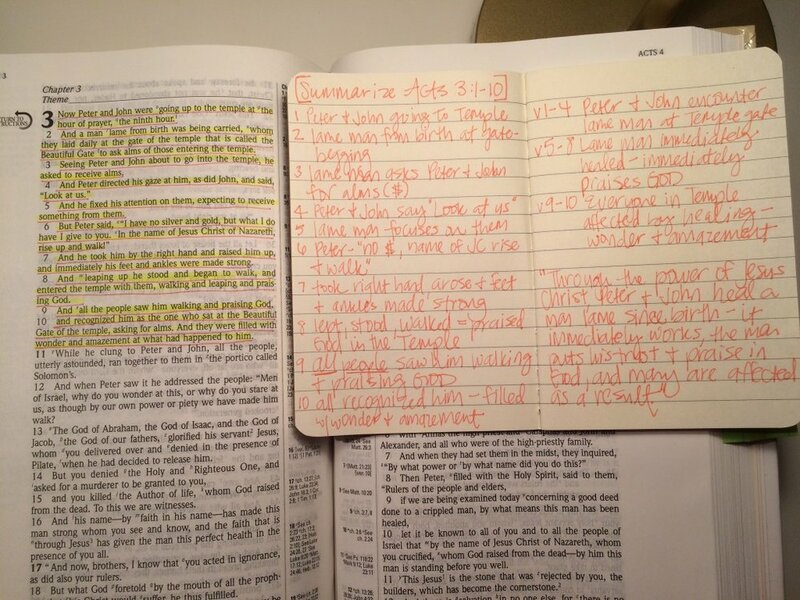 The first step is to read and paraphrase each verse in a few simple words. Second, try dividing the passage into sections of verses that go together. Finally, go back and summarize the passage as a whole in one sentence. Summarizing helps build a foundation for identifying big truths from the passage you are studying.